Niagara Falls truly is a wonder of the natural world. 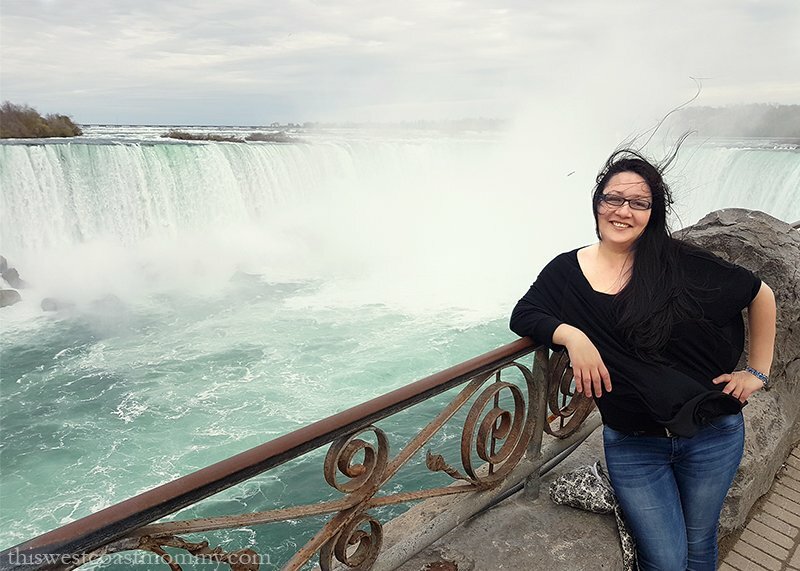 Did you know its name is derived from the Iroquois word “Onguiaahra” meaning “The Strait?” I just spent a couple days in the area courtesy of Chevrolet Canada, and I was thrilled to finally see the falls for myself. It’s an awe-inspiring sight, with 2,271,240 liters (600,000 gallons) of water per second going over the falls on the Canadian side alone. Niagara Falls is unquestionably the premier attraction in the area, but if you’re planning a family trip here, there’s lots more to do and see than just the waterfalls. One afternoon, we took the Whirlpool Jet Boat Tour along the Niagara River up to the Niagara Whirlpool below the falls and then back through some class 5 rapids. It was FUN and COLD and WET! Jet boat trips leave from Niagara-on-the-Lake and from Niagara Falls. 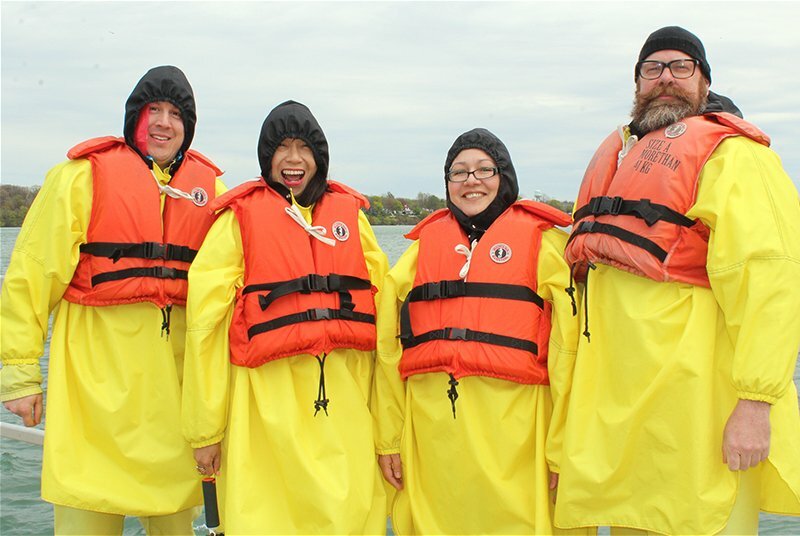 Despite all this gear they give you before getting on the boat, we still ended up soaked to the skin. While they do warn you to bring an extra change of clothes, I’m here to tell you to bring extra socks, shoes, and underwear too. Here are some highlights of our trip! 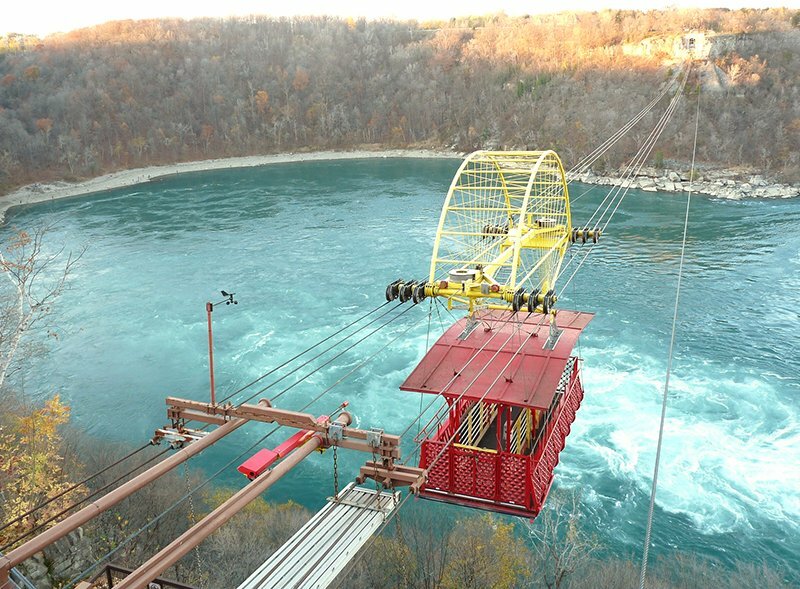 If you want to experience the Niagara whirlpool from a different (and drier) perspective, you can take a ride on a vintage cable car high above the river. The Butterfly Conservatory is located on the grounds of the Niagara Parks Botanical Gardens. 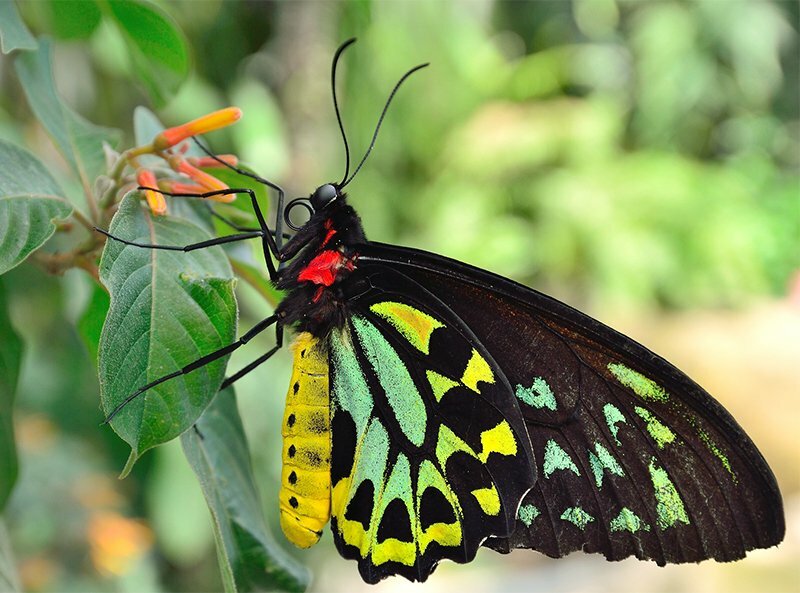 The glass-enclosed tropical conservatory houses over 2,000 butterflies and 45 different species. Be sure to spend some time at the emergence window to catch a glimpse of butterflies leaving their pupae and drying their brand new wings. 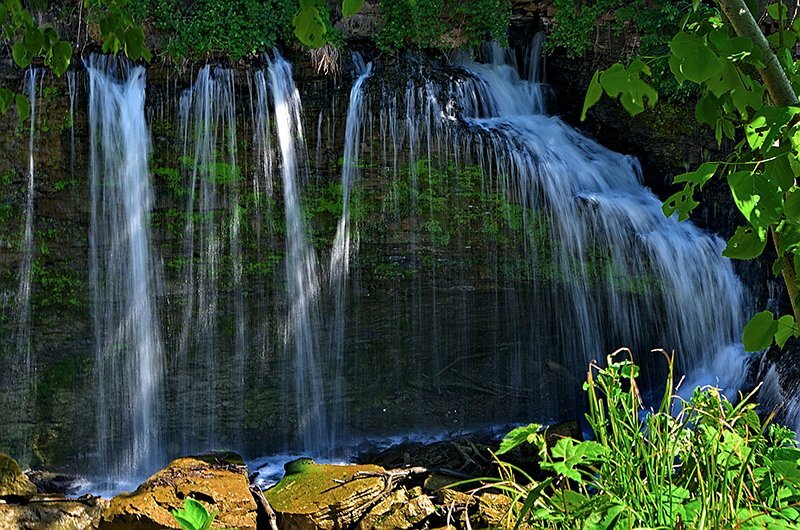 Ball’s Falls is a historical ghost town dating back to the early 19th century, now preserved as a conservation area. Visit the Centre for Conservation to learn more about the area’s rich cultural and natural history, then explore the spectacular scenery, nature trails, and two waterfalls, along with the original Ball family home, an operating gristmill, lime kiln, restored church, blacksmith shop, and carriage shed. Why walk when you can ride? 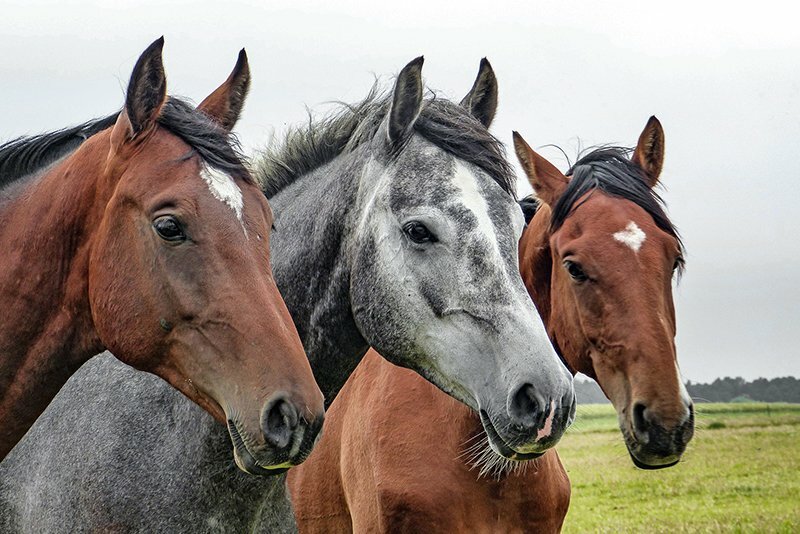 Explore the trails on the beautiful Niagara Escarpment from horseback with Niagara Riding Stables. No experience necessary, but kids must be 10 and older to ride. Horseplay Niagara offers family trail rides (kids must be 6 years or older), beach trail rides along the shore of Lake Erie (8 years and up), and private rides. 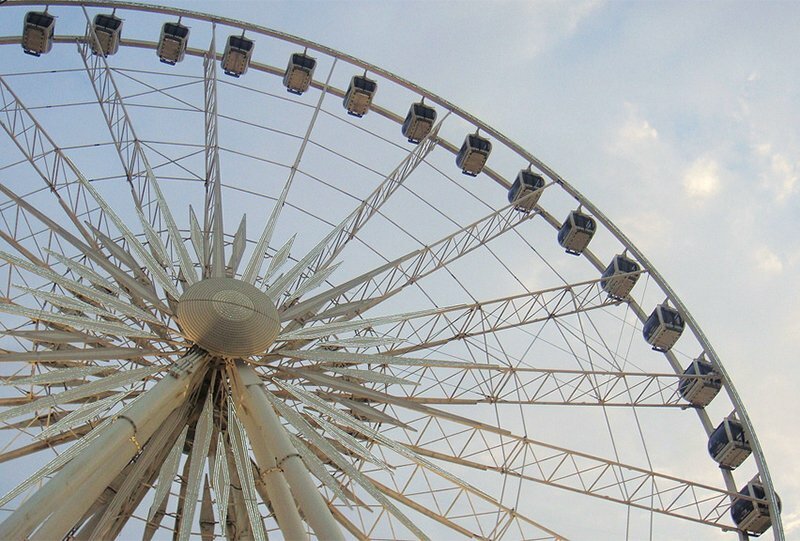 At 175 feet high, the Niagara Skywheel is Canada’s largest observation wheel. 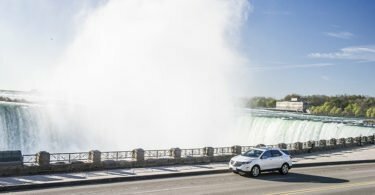 Take a ride in one of 42 climate-controlled gondolas for incredible views of of the Horseshoe and American Falls, the Niagara River, and other landmarks. One of Canada’s largest miniature golf courses (over 70,000 square feet! 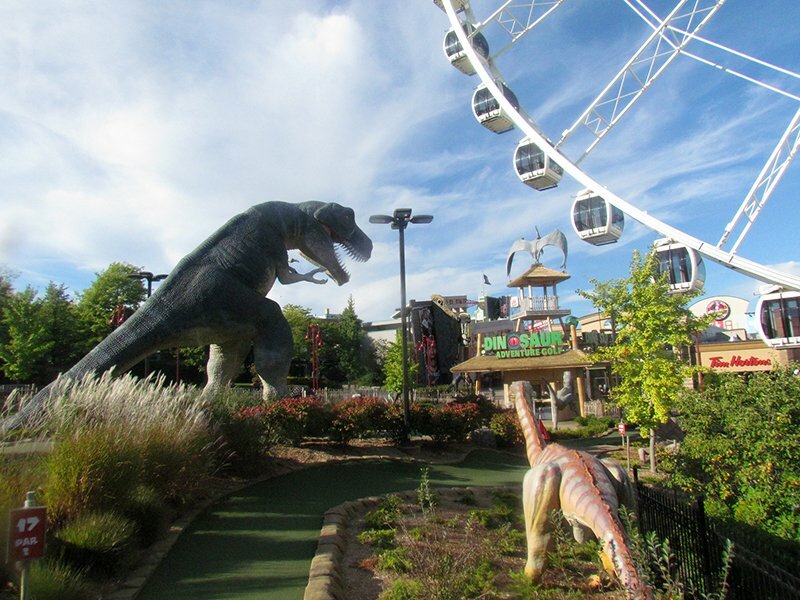 ), Dinosaur Adventure Golf features two 18-hole courses, 3 decorative ponds, a 50 foot high steam-erupting volcano, and 50 amazing life-sized dinosaurs! I grew up watching Ripley’s Believe It or Not! on TV (hosted by heavy breather extraordinaire Jack Palance), so I’ve always has a soft spot for weird and oddball stuff. 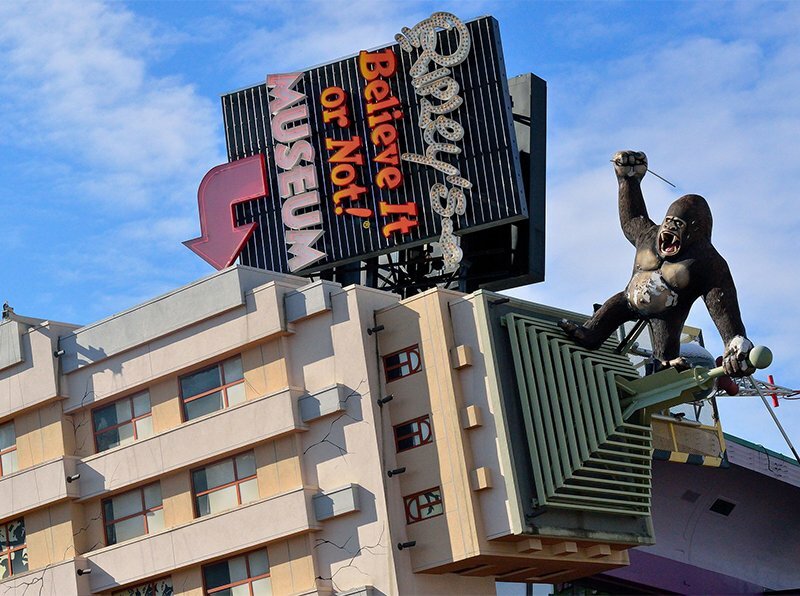 While you’re in Niagara, take the kids to Ripley’s Believe It or Not! Odditorium to view more than 15 themed rooms filled with over 900 never-before-seen exhibits, oddities, curiosities, and illusions. Check out the world’s rarest egg, two-headed animals, authentic shrunken heads, and more. Built in 2012, this pretty yellow two bedroom house on Clifton Hill is just the kind of home any family would love to live in. If they walked on the ceiling that is! Fort George was the scene of several battles during the War of 1812 defending Upper Canada from the United States. 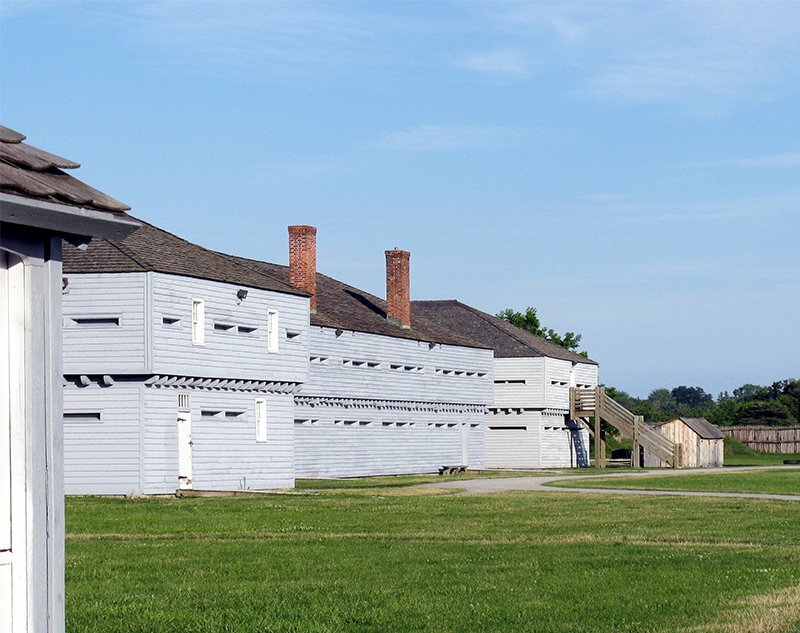 Step into the past and tour the fort’s defenses, officer’s quarters, blockhouses, and the original stone powder magazine. You can listen to the Fort George National Historic Site’s Fife and Drum Corps perform and taste food cooked 19th century-stile over an open flame. 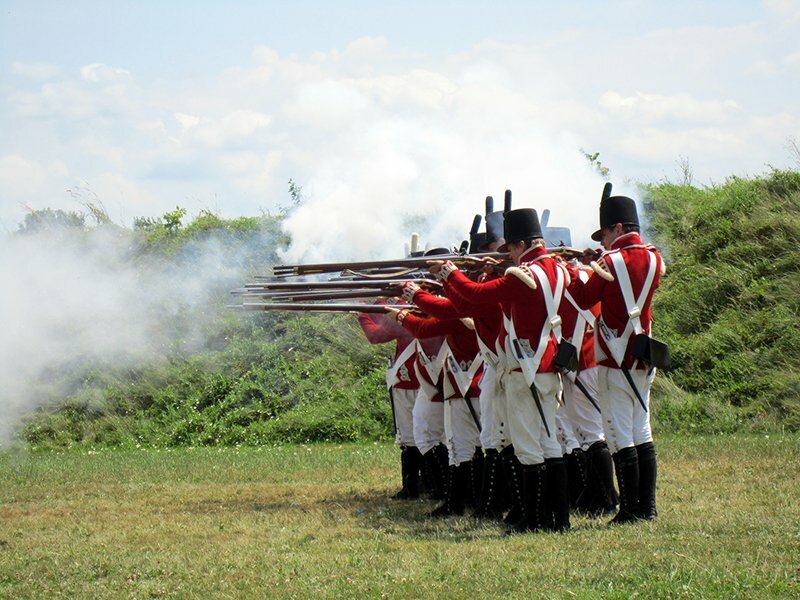 Watch the Redcoats demonstrate their Brown Bess muskets, then put on a coat and tall hat and try your hand at firing a musket yourself! Great ideas…that wet ride sounds like something to do on a warm day – good to know I’d need to change everything! My favorite on your list is the fort – I’d love to try some of the food. Oh, believe me I know about the wine tours! That’ll have to be for a different list though, LOL. One of my favorite memories is the Maids of the Mist boat ride. I would love to take the kids there to visit some of these other activities! Oh gosh – I keep forgetting about going to see the butterflies! So awesome. Great looking pictures of a place I plan on visiting soon for sure. Haven’t been there, but really want to go! 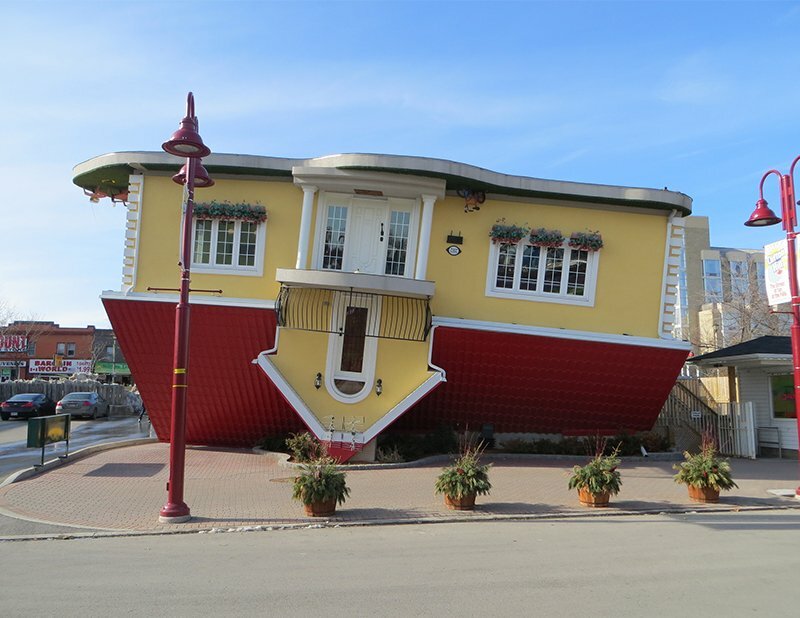 Upside Down House is so cool! Wonderful ideas thanks ! I want to visit almost all of these places. My number one is totally Ripley’s Believe It or Not! Odditorium. I love the idea of taking kids to a butterfly conservatory. I went to one as a kid and loved it! Thanks for the info. I am thinking about going to niagra falls with my kids. The butterfly conservatory,balls falls and adventure golf are things we would do. I didn’t see those on trip advisor. Wow I am loving that upside-down house! So fun! And the Ripley’s Believe It or Not! Odditorium would be such a cool place to take the kids! Great ideas for visiting Niagra Falls. We were there last fall and were able to take in some of them. We really loved the Hornblowers Niagra Cruise. I live 20 minutes from the Falls and one of the best hotels to stay at if you have kids is the Great Wolf Lodge, it can be a little pricey but it’s worth it and if you like to go for hikes there’s no better place than the gorge which is down the road from the falls. These places to visit are definitely fascinating and well worth a day’s adventure.I want to see more of Niagara Falls and some of these things.These are some fun pictures of your adventure there. 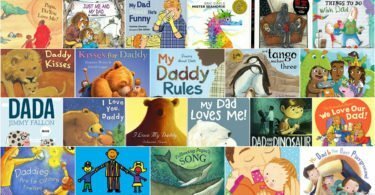 Really LOVE this article! 🙂 ..the butterfly conservatory sounds lovely!! I’ve always wanted to visit the Falls since I was a child, and now that I have a little one of my own it is even more exciting! Thanks for the great info on making the trip there even more eventful! Thank you for telling us about all the best places to see at Niagara Falls, not including the falls. My favorite would be the Butterfly Conservatory. I think some of my family would like Dinosaur Adventure Golf. At any rate, I learned much more about the sights at this famous falls. Thank you so much. Yes, there is a lot to do when you visit Niagara! It’s nice to get out and travel with the whole family. Spending time with the family is a very nice thing to do. On our visit to Niagra Falls a few years ago I was surprised to see how much tourist attractions there were besides those related to the Falls which were spectacular. 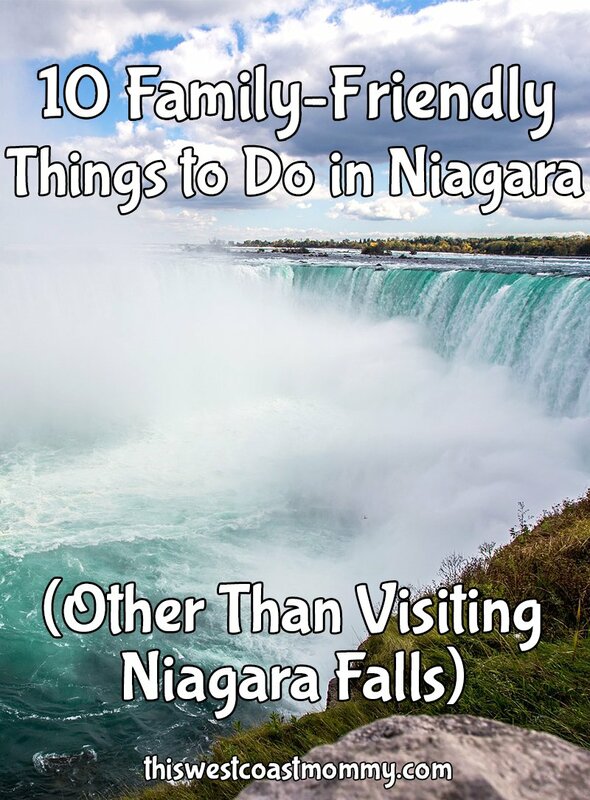 I have not been to Niagara Falls in years and I really enjoyed your post about things to do there. I loved riding the sky wheel with my sons. Looking at your photos it makes me want to go back soon with the family.